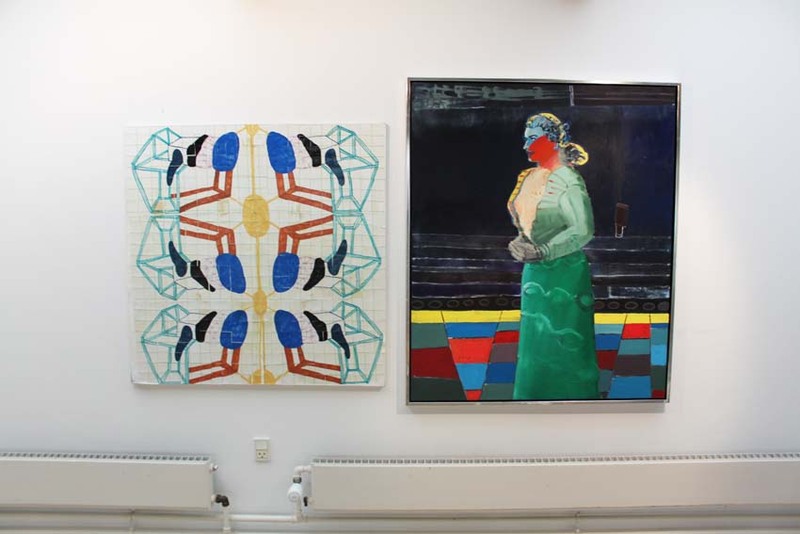 Visual artists: Bjørn Eriksen and Marie J. Engelsvold. Opening: Saturday the 1. of november at 14.00-16.00. We have in our various artistic work, found common ground in our preoccupation with the human and the psychic space. We would argue that the works can communicate on an emotional level, depending on how they are positioned in space and in relation to each other. The pieces are put together in pairs or small groups, not from an aesthetic or artistically terms, but how small total installations can tell their own stories in an interaction. The works mingle with each other, and the way they are organized in the exhibitin space, is intentionally not "nice", but creates disharmony, noisy, intrusive and in some cases placed high up in a corner of a wall where they quiet whispers to the viewer. Props from our workshops, such as ladders, work benches, stools, lamps, etc. are included in the exhibition to make the atmosphere more intimate and unpretentious. We both work in balancing the emotional and intellectual in our art, and like many other artists, we have learned that you can not use the intellect through the whole process but must let the emotions and senses lead in order to finish the work. It is all the time a ping-pong dialog that takes place between the heart and the brain. With this exhibition we will let the dialogue continue into the exhibition space where viewers will hopefully take part in the "chatter". 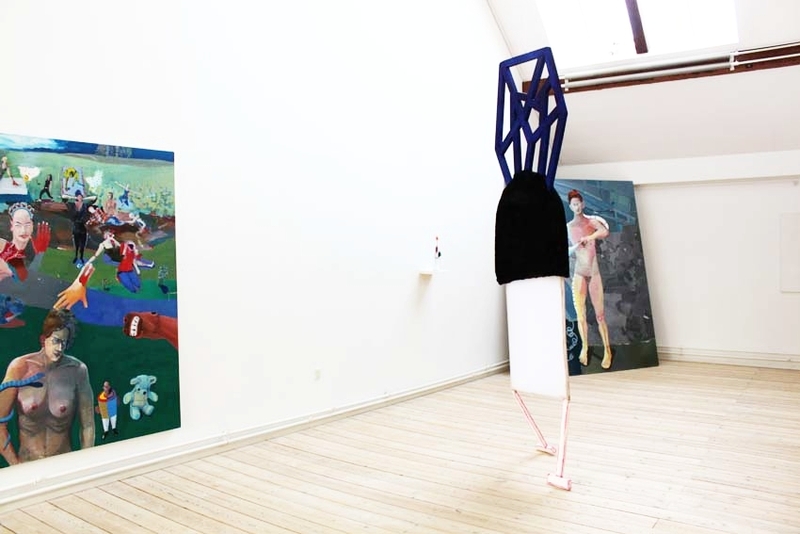 Marie J. Engelsvold: Creature” 303 x 83 x 8 cm. Wodden laths, textiles, Stuffed canvas objects, acrylic paint, foam. 2013. "Ping-pong". PAKHUSgalleriet. 2014 Nykøbing Sj.Denmark.